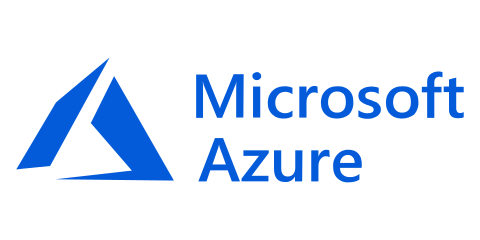 Our servers are located in the Azure Cloud Centres based in the United Kingdom. Please be aware that the information you provide to us will be transferred to the United Kingdom. By using Our Site or providing your Personal Information (as defined below) to us, you consent to this transfer and to the collection, storage, processing and use of your Personal Information in the United Kingdom. Microsoft Azure may decide to open a data centre in South Africa and, should this happen, we may transfer some, or all, of our data to this centre. We will amend this policy to inform you should this happen. We collect personally identifiable information (e.g. name, address, postal code, phone number, and email address i.e. “Personal Information”) only when you voluntarily provide it to us, such as through online registrations, finance matching assessments, contact forms and survey forms. We use your Personal Information for the purposes for which you provide it (e.g. to respond to requests, to match you to appropriate finance products, and to send email communications). We may also send you information from Finfind or third parties that we think may be of interest to you. The amount of funding you require and the reason the business needs the funding. Race, gender, age, name, citizenship, ID or passport number, contact details and shareholding details. Company name, registration number, type of incorporation, the age of the business, type of business, industry sector, location, annual turnover, regularity of income, profitability, jobs created, availability of collateral, type of collateral available and website address. We may also collect information about you from outside sources, such as credit bureaus and other sources, to validate key company details. Depending upon your stated finance need, we may need to collect additional business information to enable us to match you to appropriate funders. Type of property, franchise membership, type of available collateral, business growth possibilities, contract/invoice/tender value, property bond value, type of business expansion you envisage, project location, business accreditations, export destinations, research locations and institutions and job creation opportunities. Finfind uses the data you provide to match you with suitable finance products from its database of funders to enable you to see which finance products match your specific needs. Your information may be sent to matching funders so that they may contact you and assist you to raise the finance you require. By submitting such Personal and Business Information, you consent to our processing of such information, disclosing such information to the funders who you select, and for such funders to further process your Personal Information. Your information will also be used for research purposes. However, only de-identified data (all data that would enable this information to be linked to either an owner or a specific business has been removed) is used for research purposes. The research will be used to provide policy makers with relevant information that can assist them in forming SMME policies and programmes that create an enabling environment for SMMEs in South Africa. Should you have accessed Finfind via a partner website, your information may be shared with this partner. Finfind partners are obliged by contract to maintain the confidentiality and security of your Personal and Business Information in accordance with POPIA. (g) providing personal and business information to third parties as set out in this document. To improve the operation and usability of Our Site, we also collect other information when you visit Our Site, such as IP address (i.e. the number assigned to a visitor’s computer to identify its location on the Internet), web pages viewed, time and date of visits to Our Site, the first page viewed upon arrival on Our Site, actions taken during a visit to Our Site (e.g. links clicked), the website that referred or linked you to Our Site, the device used to access Our Site and web browser used. Parts of Our Site rely on cookies, which are small data files placed on your computer (or we may rely on other technology methods in the future). We use information collected by cookies to facilitate your use of Our Site. For example, cookies (or other methods) help make certain web-based forms work properly. You are not required to accept cookies from Our Site. You can disable the cookies function (or delete existing cookies) using your web browser’s options, although some functions of Our Site may not work properly if you do so. We may share your Personal Information with our service providers, such as companies that help us operate Our Site or companies that provide support for SMMEs in South Africa. We will make reasonable efforts to enable you to review your Personal and Business Information and, upon your instructions, to correct inaccuracies in your Personal and/or Business Information. If you wish to review or correct your Personal and/or Business Information, or if you would like to request how we use your Personal and/or Business Information in certain ways, please email us at info@finfind.co.za. If you no longer wish to receive communications from us, you can follow the opt-out or unsubscribe instructions in the materials you receive or email us at info@finfind.co.za. We strive to keep your Personal Information secure and to safeguard it from unauthorised access. We take all reasonable steps to protect your Personal and Business Information from loss, misuse or unauthorised alteration. Your Personal and Business Information is stored in databases that have built-in security, backups and firewalls to ensure the privacy and confidentiality of this information. Our Site is automated, and access to confidential information is strictly controlled. No confidential data can be stored on local drives and access to sensitive and confidential data is controlled via the use of user codes and security levels. All Finfind employees sign NDAs that confirm their compliance with our security and confidentiality policies. Our security systems meet industry standards. However, no security measures can be guaranteed to be 100% effective, so you provide your Personal and Business Information at your own risk. Our Site may contain links to third-party websites and content providers which may interest you. If you follow any link to a third-party site, you leave Our Site. You should review those sites’ privacy policies to find out how they treat your information.